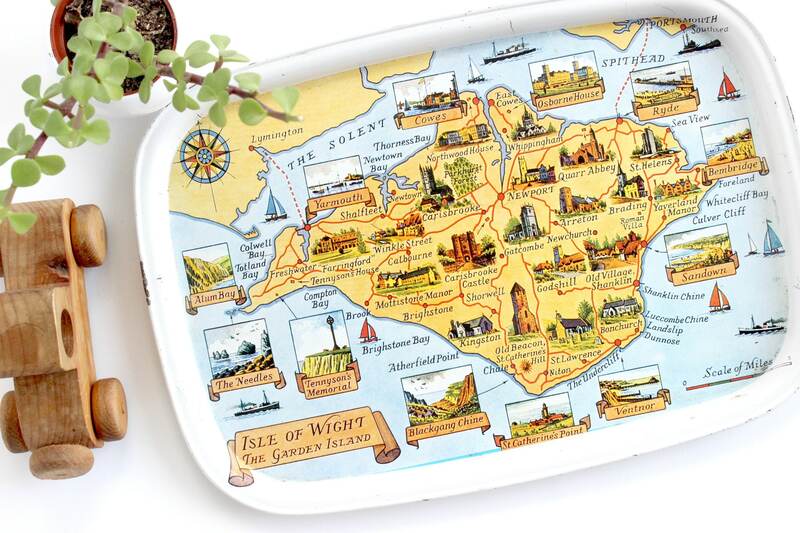 Unique metal tray with a picture map of the Isle of Wight. 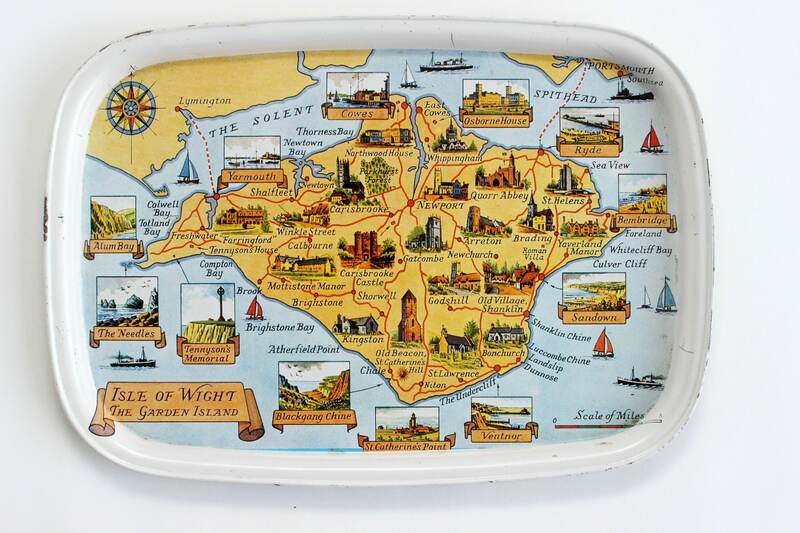 Rectangular tray depicting the English country, Isle of Wight, also known as, "The Garden Island." The main colors are yellow and blue. 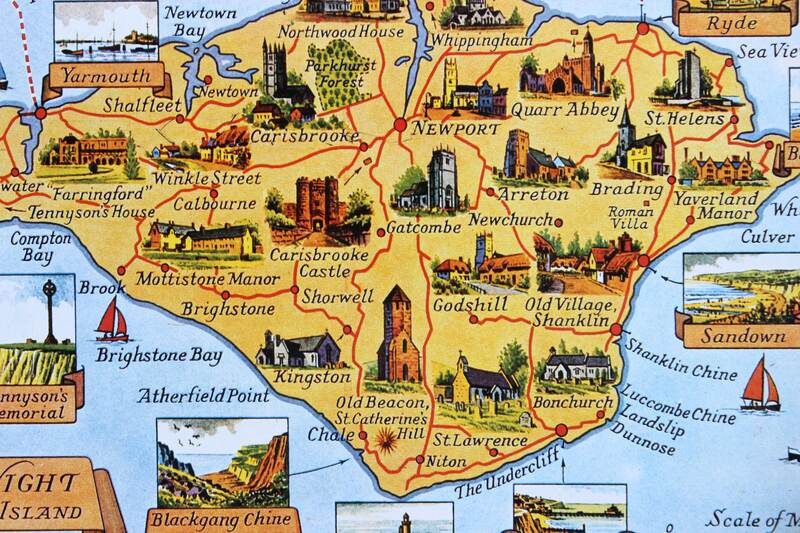 Major landmarks are pictured and labeled. 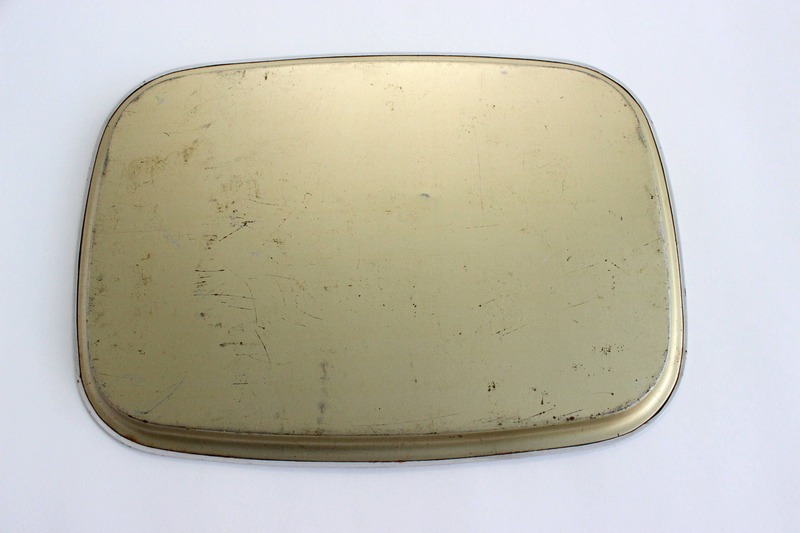 Heavily used vintage condition. 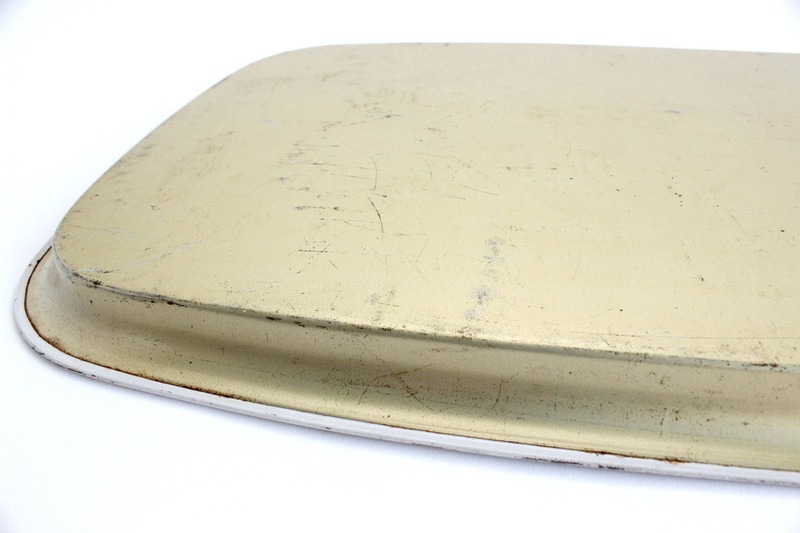 Paint is worn around the edges and several scratches can be seen. 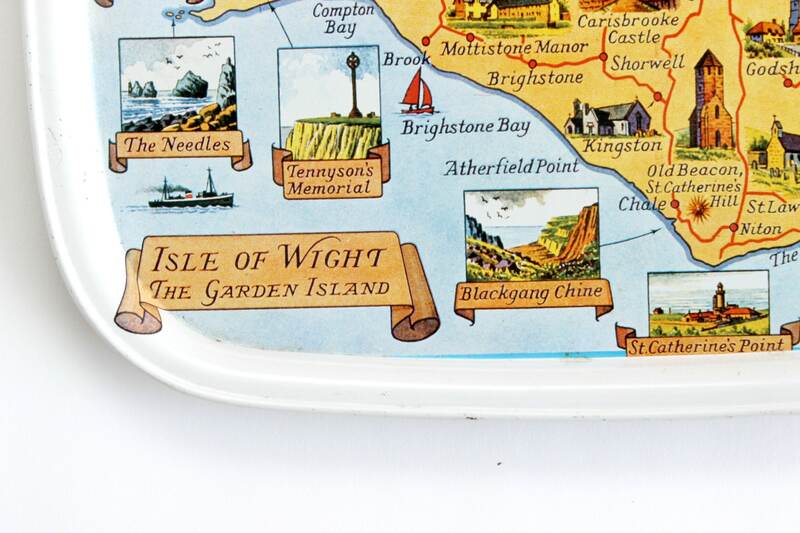 That said, the colors are still nice and vibrant and the tray is very sturdy. Please view photos carefully. 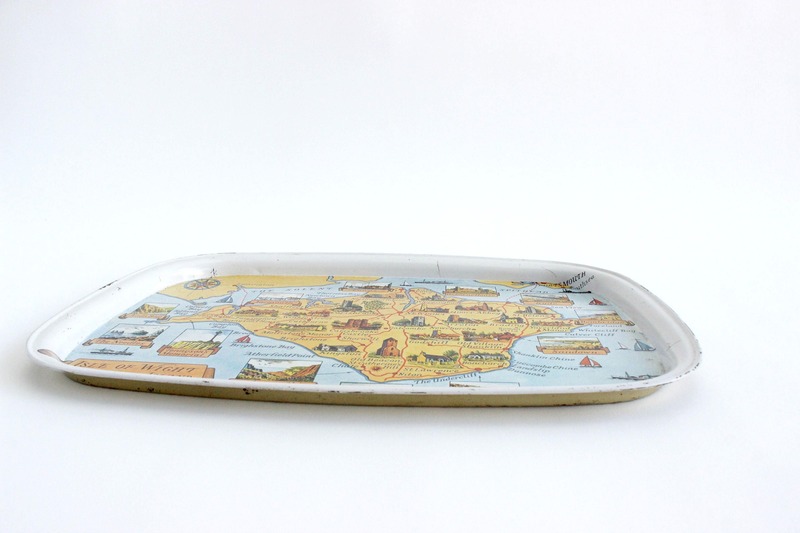 Measures 16 inches long and 11 inches wide. Sides are .75 inch high.